Iron Chef Jose Garces' combination market and cafe is unique in the state: it has a PLCB Wine outlet inside the restaurant along with a full bar. Classy cafe seating with table service fill out most of the room, surrounded by a walk-up deli. Come in for a sit-down meal of sandwiches, salads or a signature deep dish pizza, or stop by to pickup housemade charcuterie, cheese, fresh-baked bread, pastries and even fresh flowers. 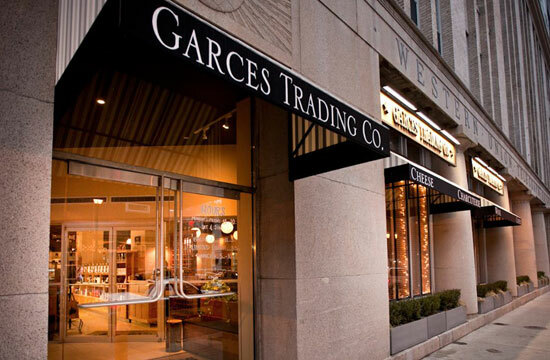 07/20/2015 A Look at the New Cocktail Menu at Garces Trading Co.